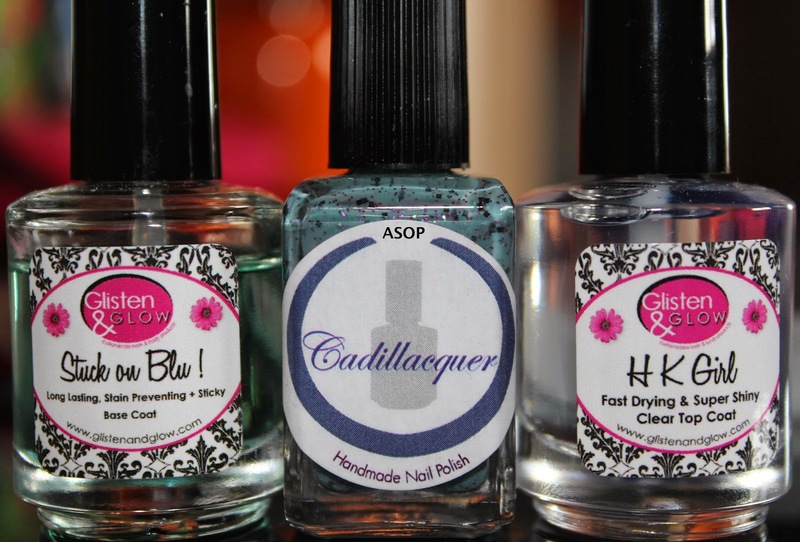 This is my first Cadillacquer polish and if they're all made like this, I want more! I love the colours and the ease in which it applied! The pictures do not give it justice. 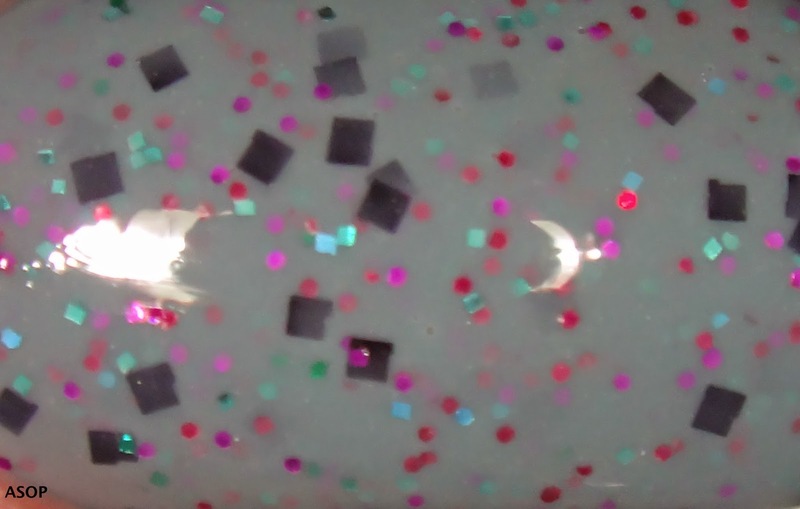 Cadillacquers 'Cute Poison' is a lovely tealy-green base with a mixture of different square and hex glitters in different colours and sizes, including; black, holographic pink, green and fuchsia. CP needed two coats for full opacity and it dried pretty quickly. A bonus to this polish is that since the glitters are small, they didn't require much (if any) fishing to acquire them and they placed themselves out nicely on the nail, giving lovely coverage.